There is nothing more distressing than having to cope with an injury, but when that injury is the direct result of someone else’s negligence, you may feel even more helpless. Depending on the severity of your injuries, you may be unable to work until you recover. How will you pay for your medical care and physical therapy? How will you provide for your family with no income? You should not have to face the consequences of someone else’s carelessness. Take control of your situation by speaking with a Maryland and Virginia personal injury attorney such as myself. Many injured individuals attempt settling with insurance companies on their own, only to find out how difficult it is to be taken seriously. Insurance companies are notorious for giving injured victims the runaround or lowballing them with unfair settlements. Insurance companies are in the business of making profits, so their goal is to offer the lowest amount of compensation possible. However, they quickly change their tune once a lawyer steps in. When you work with my firm, you can be sure that I will do everything in my power to make sure you get the compensation you need and deserve. When it comes to protecting the rights of my clients, I am relentless, both inside and outside of court. I appear regularly before all Maryland courts and I am not afraid of standing up to insurance companies. GET ANSWERS – CONTACT ME TODAY. 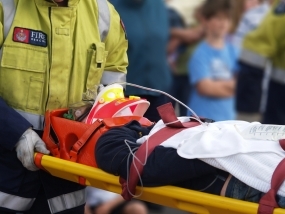 Dealing with a personal injury can leave a person with many questions and concerns. This is why I offer all my potential clients a free case evaluation so that they can gain a better understanding of their rights and legal options. It is my goal to help you make smart and informed decisions that can allow you to move on with your life. For compassionate and client-focused personal injury representation, please do not hesitate to contact my firm as soon as possible. The sooner we start working together, the sooner I can begin helping you secure justice.